During this, my first year trying to get into Anime, I found myself picking up a number of shows I would have otherwise never invested any time into. Lupin the Third is the one of these shows. Truthfully, I had actually heard of Lupin the Third beforehand. It’s a show that did get huge outside of Japan, it just so happens Part V is my first actual experience with it. Not knowing anything going in, it managed to grab me almost right away. It makes a hell of a first impression. It’s a show that seeps style from every pore and is a lot smarter than I would have ever imagined, but let’s not get a head of ourselves. The basic setup for Lupin the Third is as follows: The titular character is the most successful and famous thief in the world. A man who simultaneously managed to be the shrewdest and most intelligent man in any given room, but also the dumbest and goofiest at the same time. 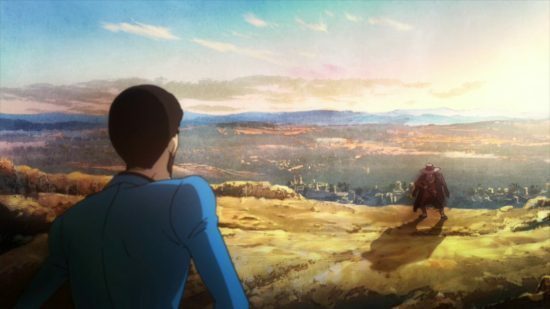 It works for him though, I get the impression that everything about Lupin is a facade, and he is always thinking away in the background. It works well that while he may actually be a goof, he is no idiot. It’s what makes him so likeable and ultimately why we enjoy following the antics of what are, essentially, a dangerous criminal and murderer. 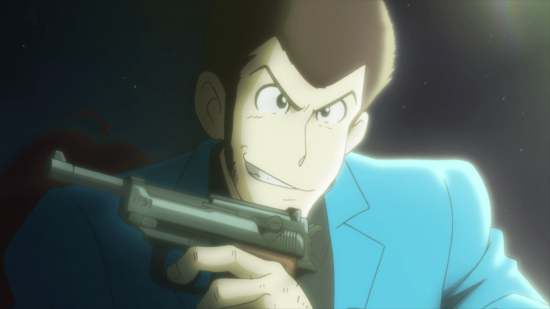 Seriously, Lupin and his companions gun down a hell of a lot of innocent police officers during their adventures who just had the bad luck of working under some corrupt warlord or power hungry corporate CEO, sometimes not even that. 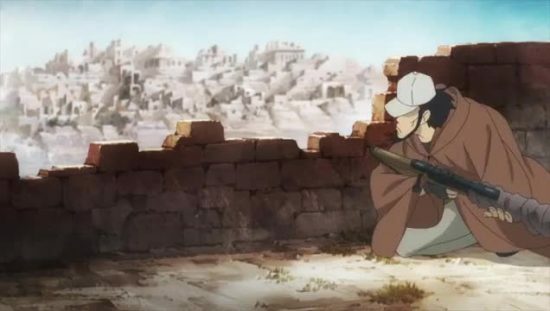 Speaking of his companions, the cast is filled ou t with Lupin’s “best friend” and expert sharpshooter Daisuke Jigen, who never seems far from Lupin’s side in his capers. And Ishikawa Goemon, a superhuman samurai who seems able to put a swift and permanent end to all problems that they face. 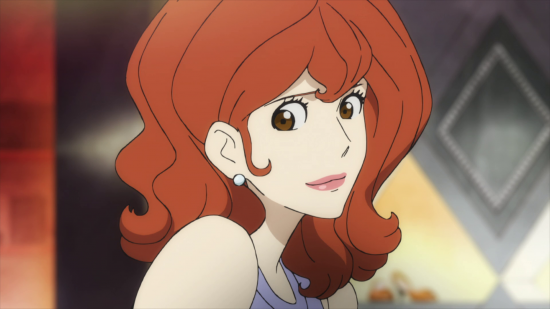 The less prominent, but still important, characters are Fujiko, the femme fatale/love interest of Lupin whose will they/won’t they relationship is the crux of most of their interactions when they’re not throwing one another to the wolves for personal gain. 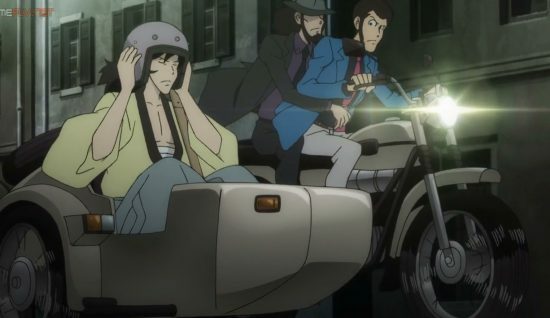 They’re also being chased on a semi-regular basis by Inspector Zenigata of Interpol who seems to want to arrest Lupin for the primary reason of being able to be his best friend without the guilt on his conscious of being pals with a criminal. In Part V, we also meet Ami, a teenage computer expert and hacker whose story opens and closes with this series. She acts as the audience surrogate for people like me who have no idea who this Lupin guy is and what he is about. She quickly falls in love with him, so obviously that tells you all you need to know about what we should be feeling about the guy. The show is broken up in a strange way too, one I really enjoyed. The 24 episode series is separated into chunks. With four main stories told over four episodes each. Each of these stories take characters and concepts introduced and roll with them into the next one, and make up the main bulk of the themes and tone of the series. Between these parts are a series of standalone episodes. 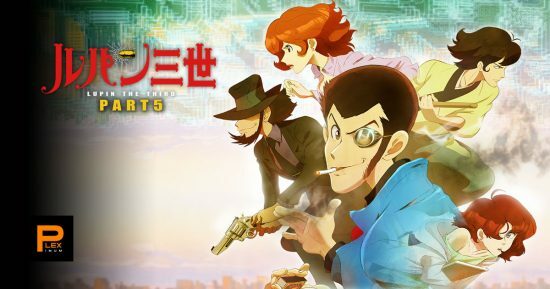 Based on people far more learned than myself talking about this show, it seems like each of these standalone episode take tone and story lines reminiscent of Lupin’s previous series. Going back as far as the first series in the 1970s. 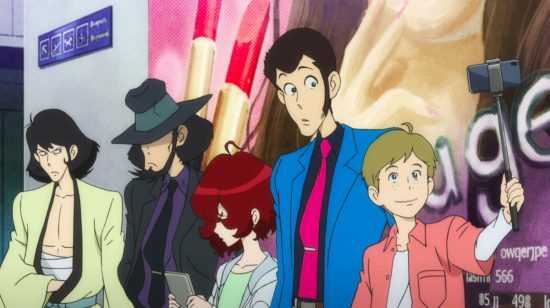 These are represented by the colour of Lupin’s jacket, which has always been a shorthand way of differentiating the different era’s and tone of Lupin the Third over the years. There were two major things that kept me engaged throughout my time watching this show. The first is the show’s style. And it has it by the boatload. The majority of the series takes place around Continental Europe, mostly France, and it makes the country look like the most picturesque, investing place in the world. The art design in the show is amazing. Every locations is packed with colour and beautiful settings. It’s a show that promotes a James Bond-like air of jet setting and world travel, and it beautifies it incredibly. This is pressed even harder thanks to the show’s soundtrack. Its music is something special, orchestral in nature with accordion and horn sounds taking priority. It lives up to the fantasy of a romanticised Paris if I ever heard it. Jazzy and Bluesy, It’s one of the best soundtracks of the year. But it doesn’t put all of it’s eggs in the single basket of being pretty and sounding great. The show is slick as a whip and sharp and a needle. One of the things that surprised me the most about it and its ongoing themes throughout was how it dealt with these characters in a world of modern technologies such as smart phones and social media. It wasn’t until listening to other people speak about the show that I realised that Lupin is character born from the late 60s. It’s a character who has never really dealt with these kinds of things before, and based on this series, I was impressed with how the writers introduced these modern elements, both vilifying them and showing them as tools to be used by the heroes too. While it does have its fair share of gunfights and car chases, Lupin is a cerebral hero by all accounts and, more often than not, bests his foe through smarts and misdirection. While the solutions to the situations he finds himself are half baked and comic in most instances, it never felt like it mattered. Lupin, despite usually besting the guy who hoodwinked him previously simply by trying slightly harder, there is so much charm and style to the character that I forgive him before I even consider getting mad at the show. The show expertly tells a story of the downfalls of real world concerns such as social media, the internet and personal privacy and weaves them into the more traditional comedic nonsense of a anime such as this, and it works incredibly well. Despite the fantastic locations and events taking place, the world is a very believable one when it comes to how the government and world leaders react to the things happening around the main characters. I was really impressed with this aspect of Lupin the Third Part V, giving some degree of social commentary on the state of the world. I’ve heard that Part IV wasn’t the best example of the series, and so I might not rush to go and watch that one, but all the things that knit together in Part V: the story, the characters, the tone, the music and animation. It all works perfectly together and I was sad it was over by the end. I can’t speak for people who have a lot more knowledge of this franchise than I do, but as a newcomer. If you’re up for a globe trotting adventure series with some occasional theft starring a character that’s part James Bond and part Inspector Clouseau, then I’d give Lupin the Third Part V a fair shake, it’s a lot smarter than a show with this amount of titillation would lead you to believe. 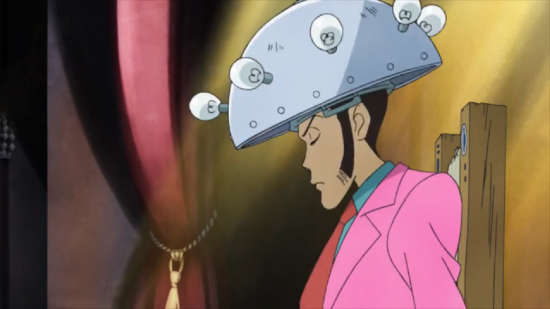 Posted on September 28, 2018 by WooderonPosted in Anime, My Thoughts on:Tagged crunchyroll, Daisuke Jigen, Fujiko Mine, Goemon Ishikawa XIII, Ichirō Ōkouchi, Lupin the third, lupin the third part 5, Yūichirō Yano, Zenigata.